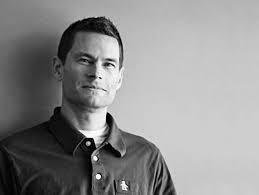 I’m delighted to welcome author and speaker Matt Bays to the podcast today. Matt begins by sharing the powerful and moving story behind his book “Finding God In The Ruins”, his painful childhood which led to struggles with alcohol addiction, and how in the midst of his recovery he faced yet more challenges as his sister tragically lost her life to cancer. We talk about dealing with grief, addiction and being honest with both God and ourselves about suffering, and asking those tough questions. About doubt, questioning and the mystery of the divine, and how we believe. Matt is humble, wise and honest, and it was a joy to talk to him. Have a listen and then check out his book. Author and blogger Tanya Marlow joins me today to talk about her new book 'Those Who Wait'. It's a book about learning the art of divine patience, and stories from scripture and life which teach us about waiting on God. Everyone is waiting. We wait for a bus, a spouse, a different job, a better life. We wait for Christ. At best, it's irritating; at worst, unbearable. But what if our frustrated longings have spiritual value? Tanya discusses this with me today, with great wisdom, insight and joy. Tanya is one of the wisest, most grace-filled people I've encountered and it was a joy to chat to her. I know you'll be truly inspired by this conversation. You can find Tanya's work at TanyaMarlow.com, follow her on Twitter at @Tanya_Marlow & you can buy her book 'Those Who Wait' on Amazon.